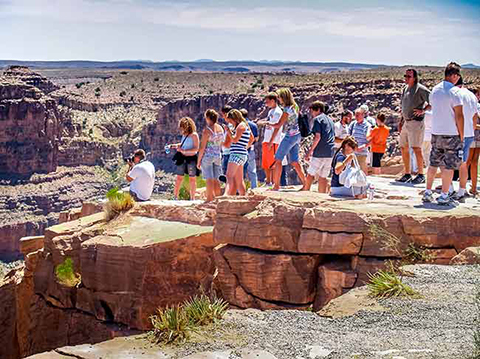 This is the Grand Canyon West Rim Bus Tour PLUS the Skywalk experience. Your drive to Grand Canyon West Rim will take you over the Mike O'Callaghan–Pat Tillman Memorial Hoover Dam Bypass Bridge. Travel the remote area known as Black Canyon, which has played a significant role in the development of the American Southwest, from the ancient Anasazi Indians and the steamboat landings to its present day use as part of the Lake Mead National Recreation Area. Pass through the Mojave Desert through the 900-year-old Joshua Tree Forest, one of the largest of its kind. We want to help make your experience visiting Grand Canyon West a straight-shooting adventure that you will cherish and tell your friends about. We provide a FREE morning snack, lunch, and a full four hours for you to enjoy yourself without feeling like you are being rushed from one point to another. Our tour is the only bus tour that takes you all the way to the rim. (Other companies drop you off nine miles from the rim and waste your time waiting in line for a shuttle bus.) 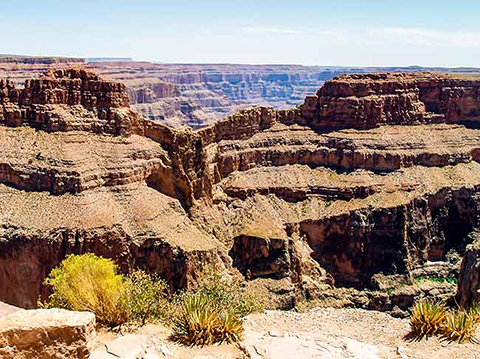 Once at the west rim you can explore the area at your own pace and see points of interest, including Eagle Point, Guano Point, and the Colorado River. You can also walk the rim for other stunning views. 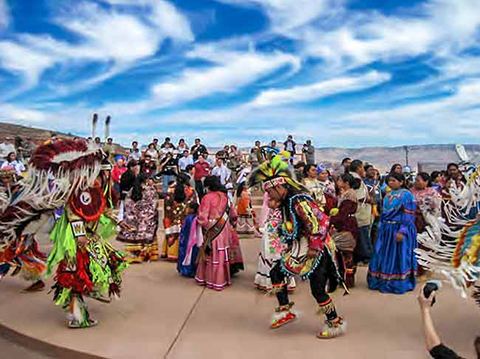 You will have time for attractions like Indian Village and the Hualapai Ranch. We highly recommend that you consider the upgrades that are available with Skywalk, such as the helicopter flight or Colorado River boat ride. Please note that cameras are not allowed on the Skywalk. All of these offer special value with unique sights and access not available anywhere else. 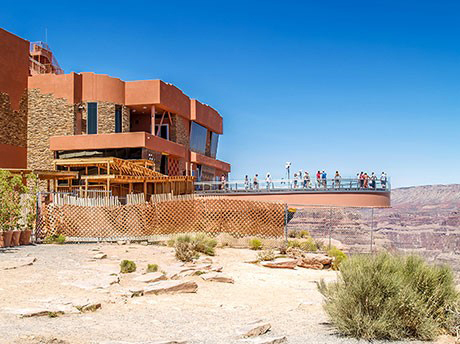 Your tour includes the West Rim Bus Tour plus you will see and walk on the Skywalk. Some are calling it the eighth wonder of the world. See why? This unique glass bridge is nearly 4,000 feet above the floor with outstanding views of the Grand Canyon, Colorado River and Eagle Rock. Walking out on this horseshoe-shaped structure provides an experience and views not found anywhere else. Some customers choose this upgrade above other experiences available during their four hours at the West Rim.